BNI is represented in most Cities in Australia, and conducts over 10,000 powerful business networking events per annum. Last year the Members generated for each other over 300,000 qualified business referrals that generated over $500,000,000 of new business. BNI started operating in Australia over 20 years ago. Dr. Ivan Misner is the Founder and Chief Visionary Officer for BNI and is also an author, a humanitarian and an expert in the field of business networking. Graham Weihmiller joined BNI in 2014 to help execute BNI’s strategic plan that includes operational enhancements, continued membership growth, and ongoing global member expansion. 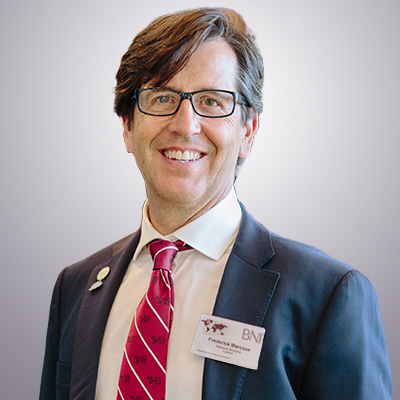 Frederick Marcoux has served as the Country Head for BNI Australia since December 2007. Under his leadership BNI Australia has experienced 110% growth in membership, with a growing and dynamic membership of over 6,000+ Entrepreneurs, Business Owners and Sales Professionals.